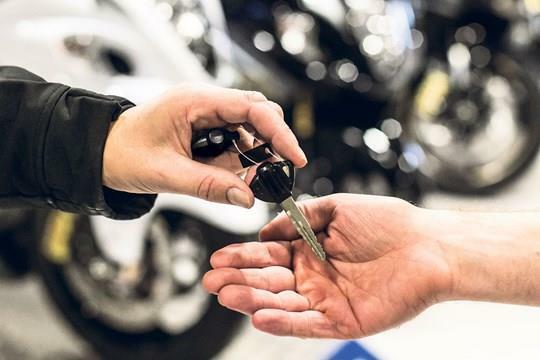 Motorcycle sales figures have taken quite a bashing this year (a total of 14.1% drop in new registrations so far) and it would seem that a combination of the new Euro4 emission regulations, Brexit and the general election have all had a part to play in making it a tough year for new registrations so far. To try and find out just what was happening MCN got in touch with Stephen Latham, Head of Motorcycle Division at the National Motorcycle Dealers Association to try understand just what the figures mean and if things are likely to improve in 2017. With the small capacity market sales dropping by 32.3% (for machines ranging 51-125cc) taking the biggest hit in sales, MCN tried to uncover the reasoning as to why this had been happening and how things may be able to recover before the end of the year. "The biggest single decline has been in what was the biggest market"
He commented that the largest area to be hit was with the sub 125cc categories and that this was largely down to a disproportionate increase in prices for highly price-sensitive small capacity machines, with politics and Euro4 taking their brunt of the blame for this. “The biggest single decline has been in what was the biggest market, for about two years, which was the 125cc market” He commented. “That market has been overinflated and has been very strong for a couple of years. How does Brexit come into all of this? This has partly explained the slow start to the first half of 2017. However, with Brexit taking centre stage in the uncertainty of the UKs financial future, this has also had a direct impact with the number of bikes sold – along with Teresa May’s decision to hold a snap election. Stephen added, “Our launch into Brexit, which was confirmed with Article 10, has hit the currency really hard causing motorbikes at the cheaper end to go up in price disproportionately. Chinese bikes have gone up by £300-400 and It wasn’t necessarily Euro4 that did this, really it was a currency exchange issue and that has also suppressed the pricing of the bigger traditional brands, who have had to put their prices up which has in turn also slowed the market place. The 125cc marketplace is exceedingly price sensitive so that’s the first area which is affected. “The thing which has really wobbled the market though would be the calling of a General Election – as soon an election is called it creates uncertainty in the consumer’s eyes and consumers postpone buying a new machine, with the attitude that they’ll plan on changing their motorcycle when things settle down. From that point of view, it often causes a 6-week slow in advance of the election and then a couple of weeks after too. Unfortunately, with the hung government issue, that might last a little longer. This slow recovery will have a lasting effect on the year’s overall figures according to Stephen and he’s predicting that at best we can hope for the market to be flat – when taking into consideration the inflated figures recorded from the end of last year. It’s not all quite doom and gloom though for the year, with the mid and large capacity machines upwards of 650cc actually not doing too badly, all things considered. The 650-1000cc market sector is actually in growth, recording an increase in registrations of 0.3% and bikes of over 1000cc recording a 1.3% growth over the course of the year so far. This was largely attributed to the fact that most manufactures already had a lot of Euro4 compliant machines before entering 2017, meaning that there was not a rush to preregister machines at the end of 2016 as there has been with the small capacity market. In summary, the overall sales figures are looking to be flat at very best, with the small capacity market taking too much of a hit in the first half of the year to allow figures to recover properly. However, the mid to large capacity motorcycles are actually doing okay, seeing small growth which should hopefully carry on for the rest of 2017.